Here’s an interesting little case of extrapolation. Maybe the number of ships crossing the Arctic Ocean will increase, as the northern ice cap continues to recede. If we trace that arc forward, when do we hit 100 ships, 2020 or so? Here’s a good example of the extrapolation method, applied specifically to computer hardware. Feld provides many examples, some tutorials, and finally offers caveats. What happens next in a big economy? Forecasting the next moves of a big, complex economy is very challenging. This post about a possible recession demonstrates those challenges well. Industrial production (purple) and personal income ex. transfers (blue) are dipping down, while manufacturing and trade sales (red) and nonfarm payroll employment (green) bode well. How to assess their relative influence? Compare with the economists’ survey at the end. 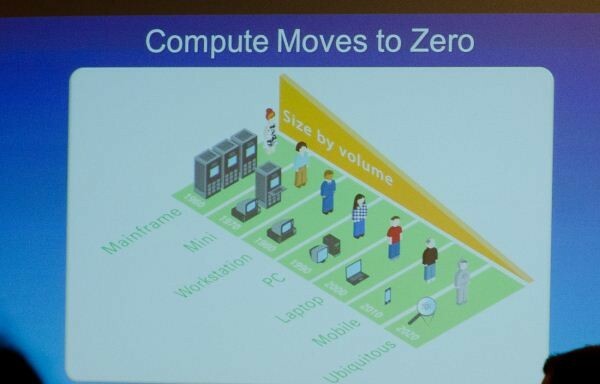 What happens to digital technology if Moore’s Law continues to hold? What happens to learning, if hardware keeps on shrinking? Here‘s a neat use of extrapolation to imagine a future. It is hard to imagine the implications of being able to embed a tiny fully functional networked computer into pretty much anything we desire. Couple semantic agents that can make sense of ‘big data’ streams with fully functional computers that can sense their environment (sensors like mobile phones), communicate with other agents/computers, and take action on that basis – the possibilities are endless. The quest to find predictable patterns in history never ends. 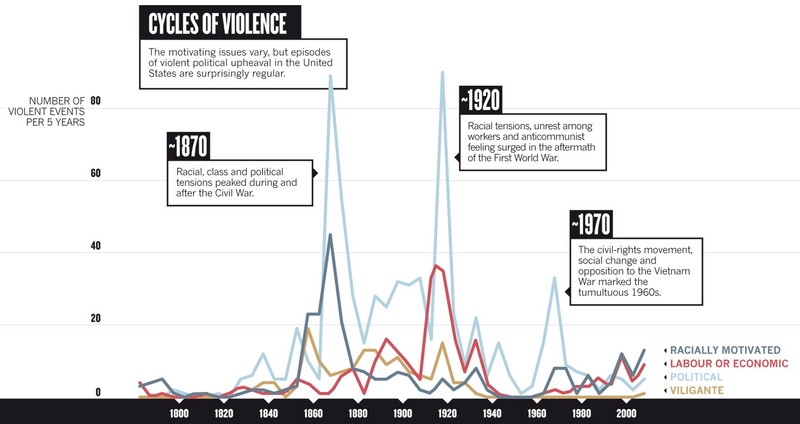 For example, one team thinks it has detected a stable cycle in American popular violence. In a 2007 cable made public by Wikileaks, [Le Keqiang] … explained that he only looked at three statistics to gauge the health of the economy: (1) Bank lending, (2) Electricity consumption, and (3) Rail cargo volume. This is an example of an old futuring technique. The predictor selects a handful of subtle stats (rail cargo!) and argues for their global importance. It goes against the many factors approach, as well as against complex simulations. Wikileaks cable source is apparently here, but that’s timing out for me this morning. Here is an intriguing (and very short) talk by the lead of Harvard’s Culture Observatory., a/k/a the Culturnomics guys. Michel quickly outlines several ways of using math to understand history. Note the final point, about using digitized books to build up forecasting models. Apparently Michel is one of the guys behind Google’s nGram viewer.